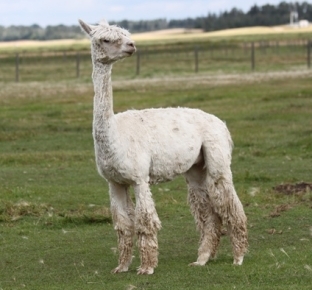 This stud has all the qualities that we were looking for in a male for our Suri herd. He has lots of luster and shine then when you touch his fiber its cool to the touch with that greasy Suri feel. He also shows signs of extreme density and fineness. At almost 5 years of age the judges comments confirmed that he was retaining all of these traits as well as admiration for his extremely strong frame and correct confirmation. Nicolette is a very nice girl with a strong frame that we have recently added as one of our suri foundation females. We are looking forward to seeing what she can produce for us.